Wait; don’t throw money at the screen just yet! Who says that being a videogame enthusiast means being a couch potato? 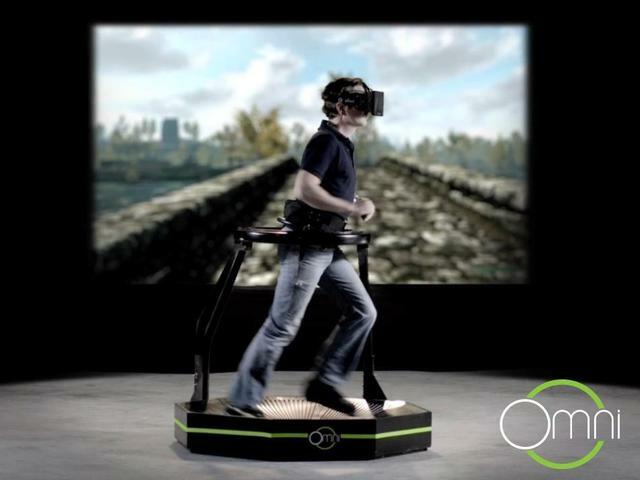 According to the Virtuix Omni, a new Kickstarter project, gamers will have to literally get off their behinds and walk/sprint their way around various game environments using a bowl-shaped, low-friction surface and matching shoes. The tech world has already been hyping about the Oculus Rift for quite a while now – even a 90 year old grandma! – but now all eyes will be on the Omni and it is set to launch its Kickstarter crowd-funding page on Tuesday. With a stipulated endorsement from the founder of the Oculus Rift himself, Palmer Lucky, Omni is set for a promising future implementation in games. Virtuix, the Texas based firm, was able to secure over $600,000 ahead of its 22 July deadline. The company is aiming to start shipping its first commercial product in January. Even though Omni’s green & black platform is certainly the most appealing feature, the plastic and steel gadget itself does not contain any electronics. A demo version – financed by its founder’s personal savings – employs a Kinect sensor to achieve motion tracking, but the company says Microsoft’s peripheral will not be required for the final product. Alternately, the plan is to integrate accelerometers and magnetometers into customized shoes that will detect both the player’s speed and orientation. The rest of the gear is designed to steady the gamers as they move around. Affiliated software interprets movements as key strokes, thus allowing the owner to use Omni with any PC of Mac game that lets them customize its keyboard controls. Nonetheless, Virtuix indicates that the kit works best if game developers use its software development kit to make sure real-world footsteps match their in-game equivalents. Make sure to stay tune to Virtuix’s homepage to get the latest on the upcoming Kickstarter launch. Next NSA leaks; where do cloud providers stand now?